Striker Getaneh Kebede has returned to the Ethiopian national team for Saturday's World Cup play-off second leg against Nigeria in Calabar. Coach Sewinet Bishaw will be delighted to have his joint top scorer back as the Walias aim to make it to Brazil 2014 for their first World Cup finals. 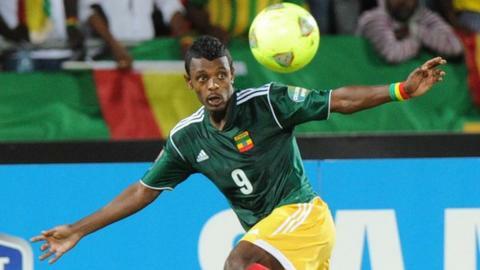 Striker Saladin Seid and midfielder Shimels Bekele are also in the squad. Getaneh trained on Monday along with his team-mates, who are mostly home-based players.